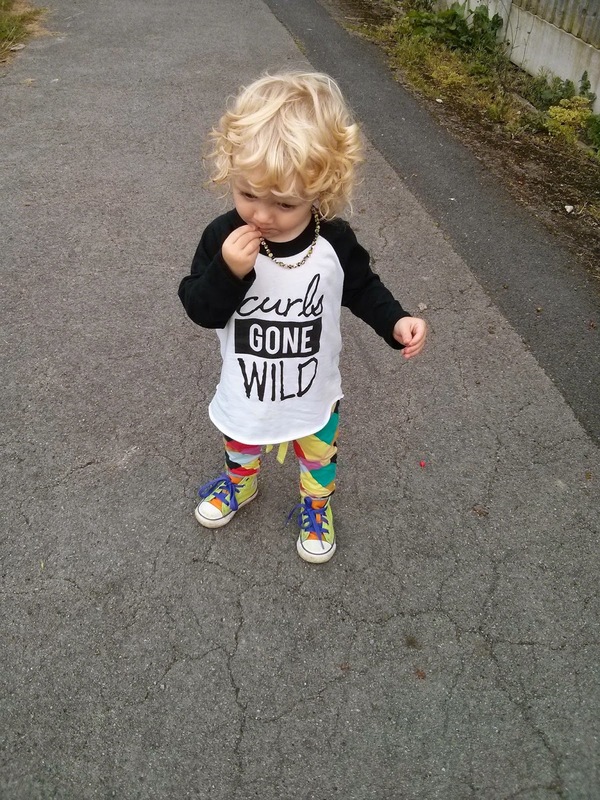 Medicated Follower of Fashion: Trendy Thursday - Curls Gone Wild! Trendy Thursday - Curls Gone Wild! Ooo, we love a Kenzie Jaws design in our house! Kenzie's designs were one of the first to pop out at me on Instagram and I've been a fan for over a year now I think. Both of my boys have a couple of her tees. Last week we took delivery of one that I've wanted for Felix for ages. Really, it couldn't be more perfect for him! Let me present Curls Gone Wild! Go on, be honest, it couldn't suit him more, could it?! 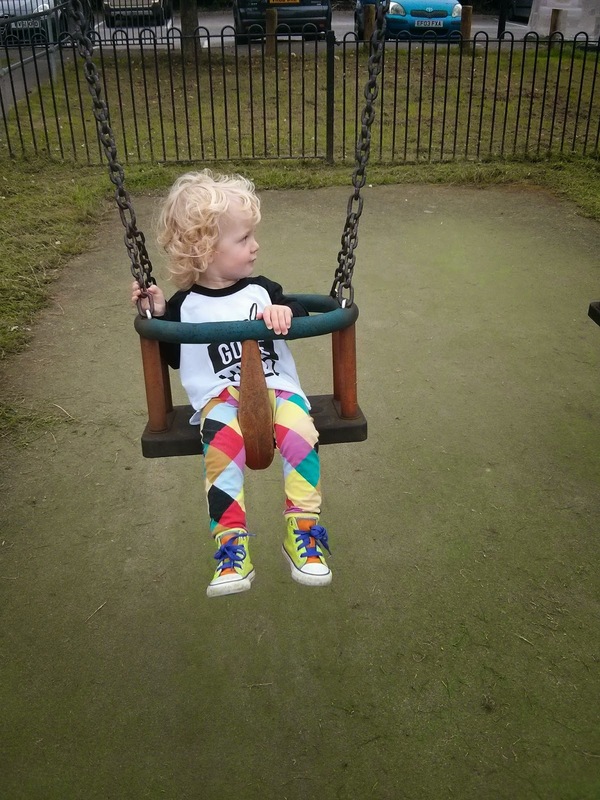 It has to be said that most of the children I've seen wearing this tee on Instagram are girls, but I felt Felix could rock it. He might not have curly hair when he gets older. I'm enjoying his soft golden curls for now and every time we step out of the door, we get complimented. People actually come up to us in the street and tell me "never cut his hair!". And I don't want to! Converse - Ethan's cast offs! In other news, whoop whoop, we are closer to being the owners of some Pray 4 Trax necklaces! As I type this tonight, a new batch have gone live on the Little Vikings site. I just bought an orange bead bear necklace. I also purchased an elephant one the other day from another store. Exciting stuff! They might well end up as Christmas presents, depends how long they take to arrive and how restrained I'm feeling!! Over to you lot now, what have your little ones been stepping out in? Link up below! Please please don't forget to comment here, link back to me and visit others who join in! Trendy Thursday - hand printed chic! Being a stay at home parent is HARD. Happy 1st Birthday Skellywear! Win a £50 spend!